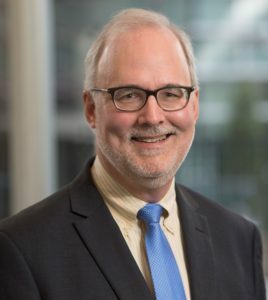 Dr. David Klimstra, the chair of the Department of Pathology at Memorial Sloan Kettering Cancer Center (MSKCC) in New York, also holds the James Ewing Alumni Chair in Pathology at MSKCC and is a professor of pathology and laboratory medicine at Weill Cornell Medical College. An expert in the surgical pathology of tumors of the pancreas, gastrointestinal tract, liver, and lung, he focuses his research on the pathologic and molecular characterization of pancreatic tumors, especially precancerous lesions. He has contributed seminal pathologic descriptions of many types of pancreatic tumors, and his work on neuroendocrine tumors of the pancreas and gastrointestinal tract has helped revise the system of classification for these neoplasms. Dr. Klimstra has served on many international groups seeking to define priorities for the study of pancreatic preneoplasia and to standardize the pathologic classification of intraductal neoplasia. He has coauthored textbooks on pancreatic and biliary neoplasms—such as the Tumor Fascicles from the Armed Forces Institute of Pathology and the WHO Classifications of Tumors of the Digestive and Neuroendocrine Systems—and is on the editorial boards of six journals. He earned his M.D. degree from Yale University School of Medicine and undertook a residency in anatomic pathology at Yale-New Haven Hospital and a fellowship at MSKCC before joining the staff at MSKCC.